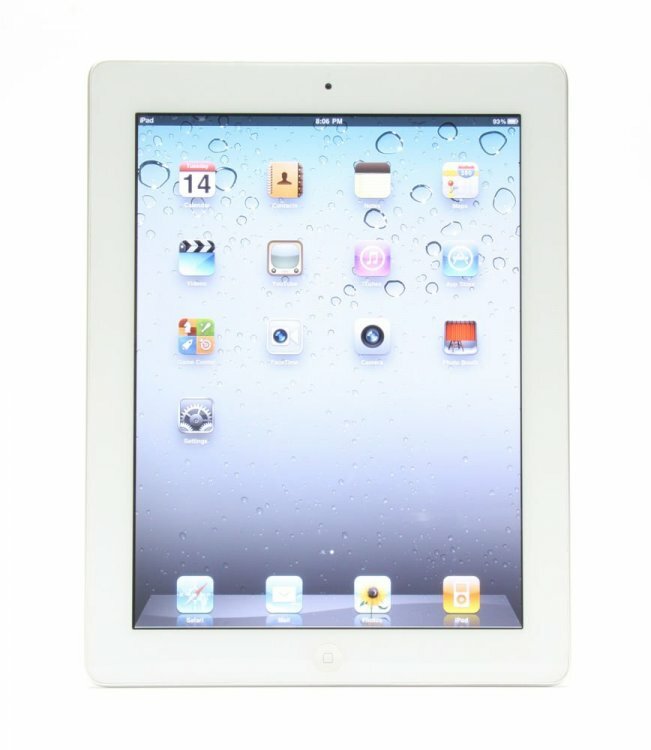 White iPad 2 for sale--16 GB + wifi...9.7" screen with no scratches....Works perfectly. Very good condition. Have charger and case. Asking 6,500 baht. Please send me a P/M if you want to discuss price. Thank you. Can be seen around the Pattaya/ Jomtien area. Info taken from the back of the iPad. Thread Bump...Price is lowered...Send me a p/m with your offer if interested. Thank you. You sure it's A1936 and not A1396? There is no A1936. The A1396 had 3G and wifi. (Though if it was originally Verizon there may be no SIM because they were 3G over CDMA which is useless, not that 3G is that great even on GSM) . If it is the A1396 it was discontinued 5 years ago and has been unsupported by Apple for nearly 3 years and only supports to iOS 9.X and thus will not run many apps which require iOS 11 or 12. For anyone thinking about it. Price on eBay is only around $50 (and those are falsely advertised with 4GB of RAM when in fact the iPad 2 has 512MB) so over $200 was pretty dear for something that is more or less obsolete. Anyone wanting an iPad used or not should look at nothing older than the iPad Air or Air 2 if you want to actually run iOS apps. Even then, they are slow. Please send me a P/M if you want to discuss price. This is a user to user forum. A lot of users , here for a long time. We share advice. You are the one with the 4X market value quote for an obsolete iPad that won't support current apps and will have a soon dead battery. Apparently it's all you have "contributed". I'd rather advise other users than worry one of your saturation ads is noticed as being a bit generous (to you). I see you have posted this on every Thai related forum and for sale site from Craigslist on down (maybe 7 or so) thus this user-to-user advice in this one forum won't do you much harm . Maybe post an asking price that is sensible and fix the model number to one that exists. If you might take 1000 Baht for it then don't ask for 6,500 expecting someone to offer 20% of the asking price (though you said the price is lowered yet oddly, did not mention that lowered price). Also post an actual picture vs. Apple's picture of a new one so a buyer might see its actual condition. Maybe post an asking price that is sensible and fix the model number to one that exists. If you might take 1000 Baht for it then don't ask for 6,500 expecting someone to offer 20% of the asking price (though you said the price is lowered yet oddly, did not mention that lowered price). Thank you very much for your help in correcting my error. Full Disclosure: The photo show in the original post is a stock photo taken off the internet and NOT a photo of the actual iPad. If you are anywhere in the Pattaya/Jomtien area, I will be happy to bring the iPad to your location for your inspection. The iPad screen has no scratches and is in almost new condition. Missing still is the "lower" asking price. Full disclosure and all that. For $50 it's a risk, battery and the iOS problem. More than that a new Kindle Fire would be a better tablet for many. Good luck but this is just too obscure to make the effort for anyone to bother. Tips get someone with a phone with a better camers to photo front and back and actually say the price . Nobody wants to discuss via PM when the only disclosure is a too high price at the outset. They see hmmm...4 to 5 X value, I can't be bothered to offer 25% of that. You've listed it in half a dozen sites and it's still for sale . A firm price of $50 or whatever might actually sell it. Missing still is the "lower" asking price. I would take 3,500 baht. I see them listed on eBay for 4,000-9,000 baht....Only 2 were listed for 1,500 baht and Both of them were Broken and being sold for 'Parts-Only'....I thought it might be better to keep price discussions off the main thread. Especially when most of the posters have no interest in buying this for any price. It might be a nice toy for a 4-6 year old to play basic games on. Certainly not for you high power gamers. But of course, you knew that already. That's the problem with Apple, you can't add a memory card to get more storage space. I am not a big fan of Apple. This iPad has worked perfectly for 7 years. Yes, mine as well. Still get 10 hours plus from the battery. Unfortunately when I bought it I just didnt have enough knowledge to understand its limitations. You cant beat that 10 inch screen !! Yes, same here. It seems like that battery will last forever. You would never think that being so old you would still get good battery capacity. The iPad is temporarily or permanently off the market. I am letting a Thai neighbors kid play with it until she gets bored. I downloaded many age-appropriate games for her to use. The Thai father was concerned about borrowing it because she might break it or lose it. I told him he owes me nothing if that happens. Now I get the biggest smiles everytime I see her.